2016 Suzuki Bandit 1250S ABS. Picture credits - Suzuki. Submit more pictures. The Suzuki Bandit has won the respect and admiration of riders around the globe with its unmatched quality, wide power spread, and exceptional balance of performance, technology, and style. The new Bandit 1250S ABS refines its styling with a sculpted half-fairing that wraps around the radiator sides and is vented just below the headlight. Ask questions Join the 16 Suzuki Bandit 1250S ABS discussion group or the general Suzuki discussion group. Bikez has reestablished Bikez.info motorcycle web shop overview. Here we present the major online shopping possibilities for motorcycle parts, gear and accessories. This includes customizing and insurance. Search and compare products and prices. 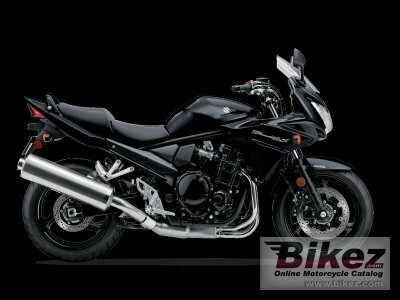 Try our 2016 Suzuki Bandit 1250S ABS discussion forum if you have questions or comments. Information about any technical issue is always welcome.